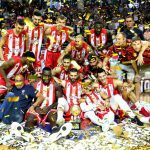 The ABA Liga defending champions, Buducnost Voli Podgorica, blasted off into 2018-19 in high gear with an 86-64 blowout victory over Krka Novo Mesto. The boys in blue showed no signs rust from the off-season. Their poise and composure were on full display throughout the game, as they looked like they were already in mid-season form. Fans that trouped to the Moraca Sports Center in Podgorica were treated to a basketball clinic held by their home team. Buducnost got off to a 25-14 lead in the first quarter and did not look back. Krka played hard but was clearly outmatched in this game. 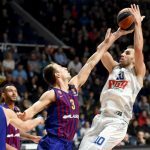 Buducnost had their number and stormed on to victory without any serious threat from their guests. Former NBA forward Earl Clark was a force for Buducnost as he dropped 12 points, six rebounds and two blocks. He led a balanced offense that was anchored on some smart ball movement and unselfish play. Buducnost recorded 16 assists compared to 13 from Krka. At the end of the day, Buducnost’s size and dominance in the paint was the X-factor that took them over the top. 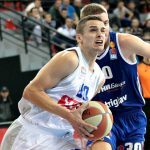 Croatian big man Dino Cinac led Krka with a game-high 16 points. 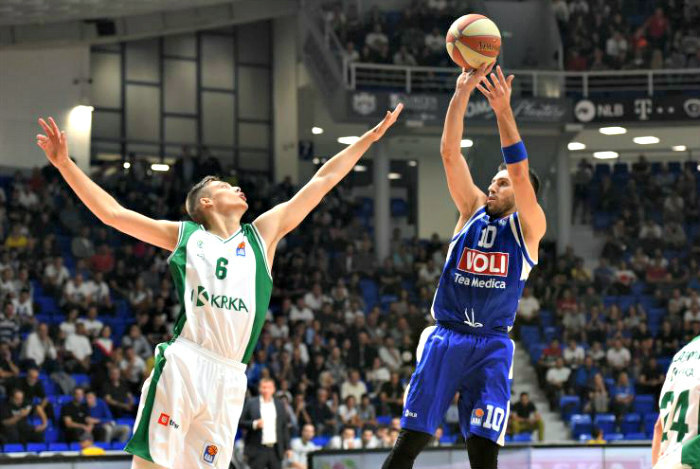 Buducnost may have a target on their backs as the defending ABA Liga champions but they have shown they are more than ready to keep their crown. If any team wants it, they will have to get past a formidable foe in the Montenegrin Juggernaut. 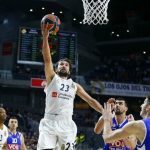 One Response to "ABA Liga: Buducnost Ready To Defend Their Title"
My question is: can Buducnost get a playoff spot in EuroLeague?